Four weeks from today the greatest tennis stars in the world will descend upon Queens, New York and participate in the final Grand Slam event of 2014. Stan Wawrinka opened up the year with an upset victory at the Australian Open, defeating Rafael Nadal for his first ever Grand Slam title. Nadal would quickly get back on his feet however, as he beat Novak Djokovic in the French Open final. And not to be outdone, Djokovic came back and defeated Roger Federer to win last month’s Wimbledon finals. 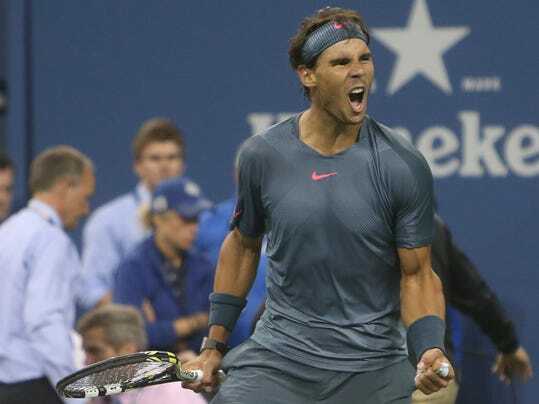 Nadal brought home last year’s U.S. Open championship and a win this year would give him three career U.S. Open titles. Djokovic won back in 2011, sandwiched between a 2011 Wimbledon and 2012 Australian Open victories. But of that group, Federer stands alone with an impressive five US Open titles, all in a row from 2004-2008. Nonetheless, he hasn’t been able to get to the finals match ever since del Potro took him down in 2009. Fans looking to attend this year’s U.S. Open will find tickets to be expensive (as they are every year) but that certainly doesn’t mean there aren’t great deals available. In terms of the best value, Thursday, September 4th is probably your best bet. That is the day of the Men’s quarterfinals with tickets available for as low as $39 during the afternoon session and $88 for the evening session. Comparatively, US Open ticket for the first round of afternoon sessions never drop below $50. So you’ll potentially be able to see Federer, Nadal, Djokovic, and Murray all in one day (perhaps even facing each other) for a great low price. And don’t forget about the ladies. Though no trio of women have been as dominant in tennis over the past decade, Serena Williams has had no difficulty taking home the championship in each of the past two U.S. Opens. The semifinals for women’s singles has tickets available for as low as $47 and an average ticket price of $281. The women’s finals have tickets starting at $96 and an average price of $454, so the semifinals are almost half the price. With the opportunity to see Serena compete against other heavyweights such as Maria Sharapova, Li Na, and Caroline Wozniacki, the semifinals are you best value for the ladies. So if you’re looking for the best deals at this year’s U.S. Open tennis tournament, our recommendation is the men’s quarterfinals and women’s semifinals.